Have you ever captured a beautiful video but a noisy surrounding ruined it all? Perhaps, you see a great clip that you want to use but the audio doesn’t suit the theme you want? What should you do to make it look presentable or blend it onto your ongoing project? You will have to mute audio in video. If you do so, you can add different background music that will make the video a lot more pleasant for you and the viewer. Now, your next problem would be completing this task. Get ready because I’ve got the most amazing way for you. The most convenient way to do this is by using an editing software and here is ApowerEdit. This versatile program is capable of turning your videos into a beautiful one for it offers a variety of editing functions. It enables you to make basic editing such as splitting, cropping, and merging parts of your video, adjusting speed, contrast, saturation, and brightness. Download and install ApowerEdit on your computer by clicking Download button below. Launch the program and select from 4:3 or 16:9 aspect ratio. After that, add files by clicking on “Import” button or dragging them on the main interface of the program. Click “Export” and choose your format and folder location. Another useful tool is VLC. This is one of the most renowned media players for Windows and Mac users. However, few people are aware about its other functions. Aside from playing and streaming videos, it also offers function of converting files to different format. In addition to that, it gives you the option to edit your video such as rotating it, adding effects, a logo, and much more. 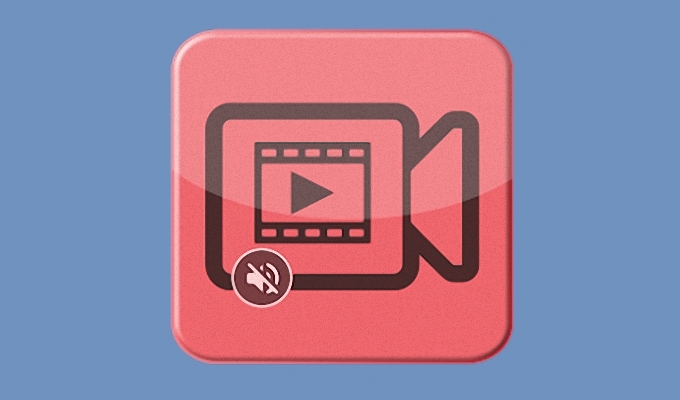 Besides, you may use this in case you are looking for an accessible app to mute your video file. To start, open VLC on your computer. If you don’t have it, download and install it at first. Go to “Media” > “Convert/Save” or simply press Ctrl+R. On the pop-up box, hit “Add” and select the file you want to edit. Once the file has been added, press “Convert/Save” > “Edit selected profile” > “Audio Codec” then uncheck Audio. Click “Save” > “Start” and the file will be stored on your computer. These are the steps on how to mute audio from video using VLC. The downside of using this app is that you won’t be able to add background music to replace the muted file. Hence, you will need to use another editor for this. The third method which you can use is YouTube. This video sharing site has an editing tool that allows you to make changes on your files before uploading them on the web. Included here is cutting, combining, and deleting some parts of your video. It also incorporates adding of music and some special effects. Along with this, it enables one to adjust the volume of their video, including muting it. The first thing you need to do is to upload the video on YouTube and be sure to mark it as private. Once done, visit YouTube editor page and drag your video from the library to video timeline. After that, go to “Audio” tab and mute the audio with the volume slider. If you want to add a different sound, you may upload it from your computer and drag it to the audio timeline. To save the changes you’ve made, click on “Create video”. Those are the steps you need to make in order to mute sound out of video. The problem with using YouTube is the edited file is not saved directly to your computer. So you need to make an extra step to download the file by clicking the download arrow and hitting “Download MP4”. And also, you should have a stable internet connection for uploading and downloading the video file. 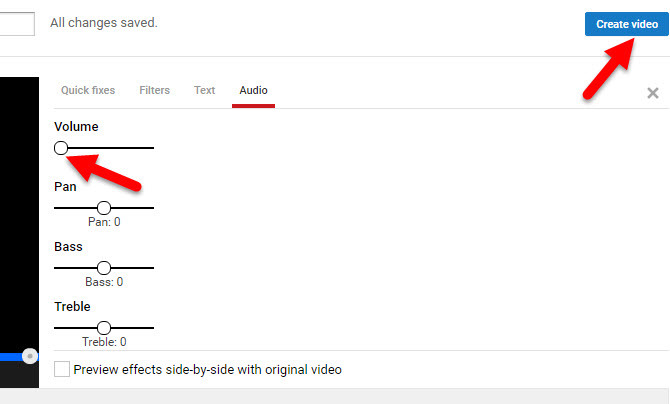 The ways shown above are given so that you can use to remove the unnecessary sound on your video file. In case you are wondering which is the best one, here’s a simple evaluation for you. VLC is a good app if you only want to mute your file or do basic editing. Other than that, it has no other benefit. YouTube, on the other hand, features a powerful editor wherein you can mute, add sound, and edit your file at the same time. However, you won’t be able to use this app offline. 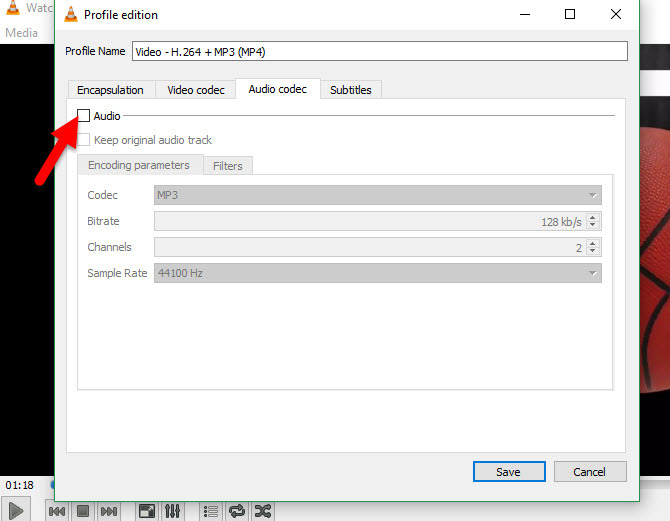 The ApowerEdit program is more suitable to use if you want to mute audio in video and make some improvements on your project. It is powered with various editing tools. 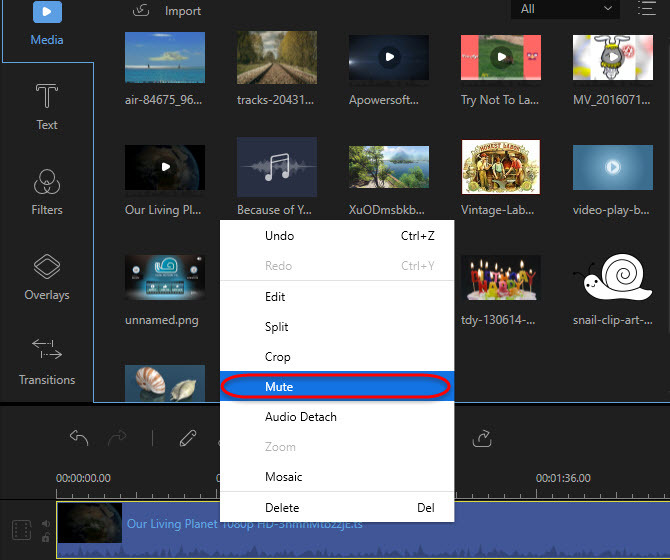 You can mute, add a different sound, edit your video and convert your file respectively. You can take it offline. This software does not need internet connection to work. Lastly, it has a user-friendly interface which will make your editing process easy.